Tesla Motors doesn't want to sell its cars the way every other car company does, and that's making a lot of traditional automobile dealers mad. And those dealers are fighting back. Both sides insist they're only trying to protect car buyers. 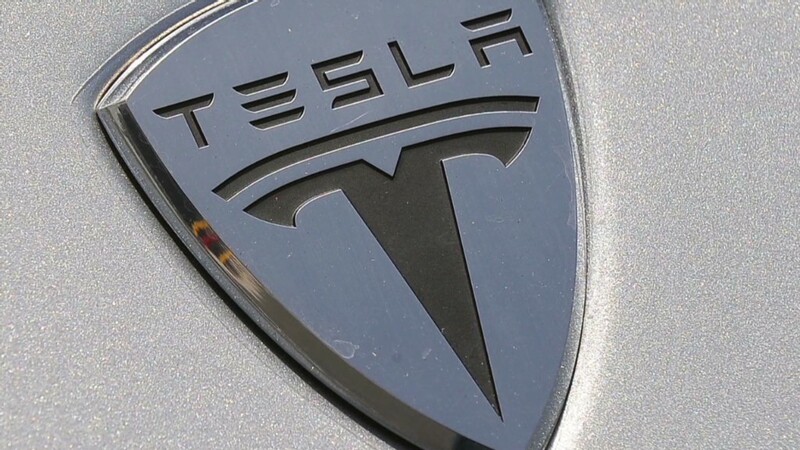 What Tesla (TSLA) and its chief executive Elon Musk want to do is to sell its Model S electric sedan directly to consumers rather than using franchised car dealers. General Motors (GM), Ford (F), Toyota (TM) and others don't sell cars to customers. They sell cars to independently owned and operated dealers or distributors who, in turn, sell them to the public, usually after some negotiation over the final price. It's a system that dates back to the Model T.
By contrast, Tesla's showrooms, of which there are already 37 around the country, are owned and operated by Tesla Motors. Most of the showrooms are in shopping malls with only enough cars kept in inventory for display and for test drives. Also, there's no haggling. Every Tesla car sells at full sticker price. Service on the cars is performed at separate garages, also owned by Tesla. Bill Wolters, president of the Texas Automobile Dealers Association, thinks that's a horrible idea. "If Elon Musk wants to have a showroom in a mall, that's fine," Wolters said, "but he can't own it." Auto sales are mostly regulated at the state level. 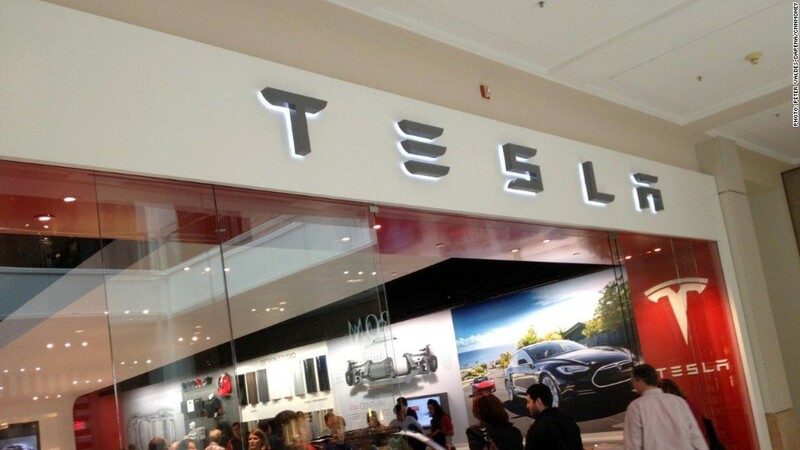 In some states, Tesla has had little or no problem opening its stores. In other places, auto dealers and their allies in state government are resisting Tesla's plans, fearing it could ultimately undermine the system of franchised auto dealers as other automakers will try this, too. Today, Tesla can't sell cars in Texas. Tesla has showrooms there, but employees can only show off and explain the car. They can't give test drives or take orders. They can't mention the price at all, even if customers ask. Wolters is helping lead the fight in Texas to keep it that way. He's speaking out against Tesla's proposal to create an exception to current laws forbidding automaker-owned dealerships. The current law doesn't stop anyone in Texas from ordering a Tesla Model S online if they want to. Tesla just can't deliver it to the customer. The buyer has to arrange for delivery through a third-party shipping company. Online ordering is currently legal in all 50 states. In North Carolina, though, dealers are pushing to pass a law that would make it illegal for Tesla to sell cars online there. A representative for the North Carolina auto dealers group did not return a call seeking comment on that legislation. The traditional dealer franchise system is best for car buyers, Wolters insists, because it preserves competition between dealerships selling the same products. It would be difficult for Tesla to maintain its one-price system with competing dealers selling Model S cars. Jack Gillis, with the Consumer Federation of America, disagrees. Customers actually don't like haggling over prices, as evidenced by the fact that we haggle over almost nothing else except cars. A one-price system, like Tesla's, is fairer, Gillis said, because it's more transparent and doesn't put less belligerent shoppers at a disadvantage. If the price is too high, customers just won't buy the product. But Wolters also cites safety concerns in Tesla owning service centers. If Tesla were to go out of business, the service centers will, too. How, then will Tesla cars get needed repairs and maintenance? And what if there's a recall? "When manufacturers discontinue a brand -- such as Pontiac, Mercury, Oldsmobile or Saturn -- auto dealers still remain to help the customer," the National Automobile Dealers Association said in a statement. That's especially important with cars, the NADA said, because unlike computers and other items, poorly serviced cars become a hazard. But, if Tesla went under, this would be an issue regardless of who owned the service centers, said Jeremy Anwyl, vice chairman of the automotive Web site Edmunds.com. Even if independent dealers were still in business, it would become difficult, if not impossible, to get parts for the cars and personnel would no longer be getting trained on how to fix the cars. Tesla did not respond to questions about this issue. "My dealers would love to sell this car!" countered Wolters. "It fills a niche we currently don't have." The Model S is a fairly hot item at the moment, selling well and being lavished with praise by critics. Motor Trend and Automobile magazine named it Car of the Year and Consumer Reports called it the best car they'd ever tested. Tesla may, in fact, want to use franchised dealers later on, said O'Connell, just not now while the product is still new and not well understood. "Maybe in the future, when we're selling hundreds of thousands of vehicles," he said. Until then, said O'Connell, Tesla will sell its cars the way it wants. If some states don't allow that, then Tesla will simply sell them elsewhere.